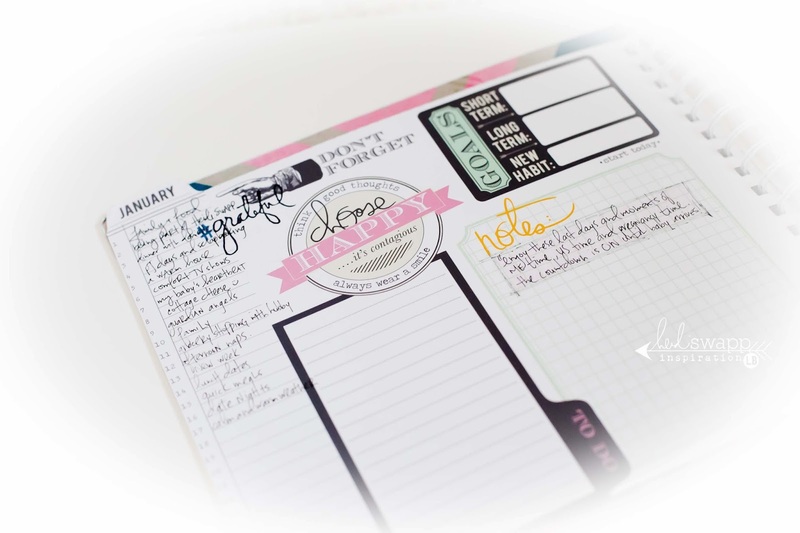 my newest love: the memory planner. hello my newest love: hello the memory planner. hello documenting 2014 in one of the most incredible ways. and thank you heidi swapp for making it happen. as one of the newest (and ridiculously hottest) products to hit michael's store shelves this month, this is one must have album/journal/scrapbook if you are a lover of anything that consists of documenting. it seriously has thought of EVERYTHING. there are SO many reasons why i absolutely adore this album and that probably has to do with that it completely "fits" what works for me. i love journaling, i love calendars, i love note taking, i love photos. i love doodling and quotes, prompts and colour. i love pocket pages and coil. and now this is ALL wrapped up into one. i do not think it get's more perfect than that these days! 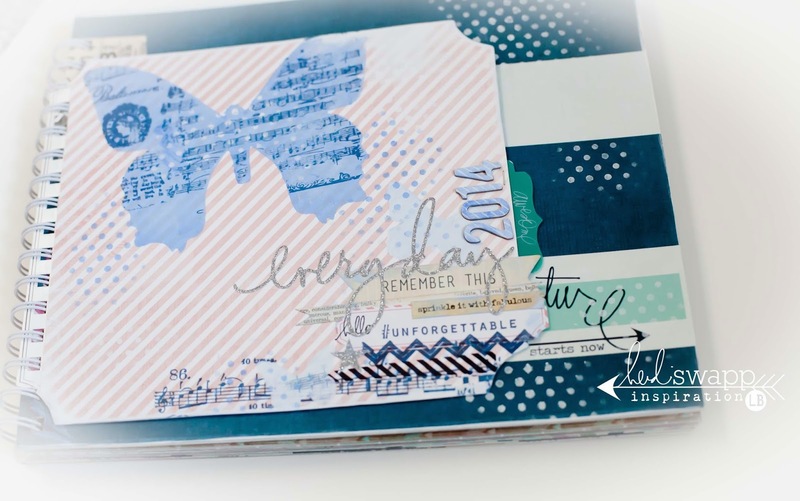 here is my interpretation/version of the heidi swapp memory planner. the beauty of this book is that not only is it ready to go as is….but it is also ready to be completely personalized, transformed and taken to even FURTHER levels if you wish. 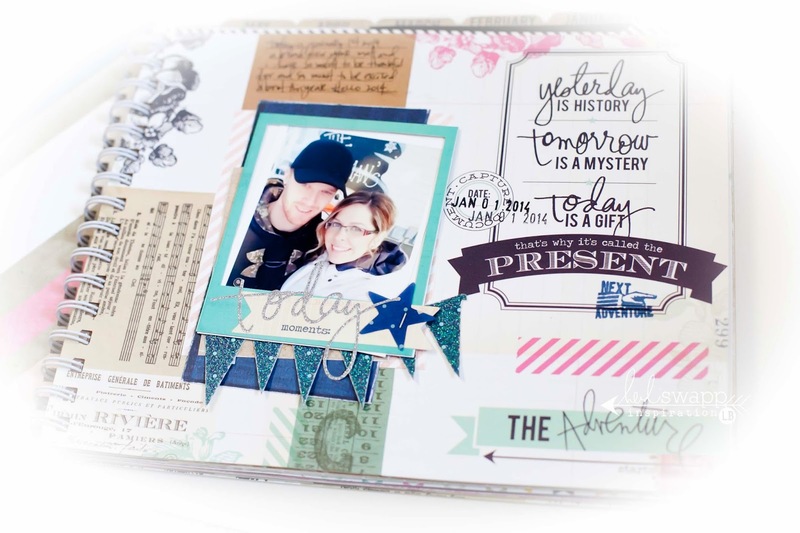 there is so much room to add bits, photos, journaling etc. that it completely will begin to take on a life of it's own. your life. ready to be noted for the entire year of 2014. and most importantly….simply. you can definitely make this book whatever you want it to be. and i LOVE that. so far here is my journey with my planner. you will notice that when you purchase the book it comes with a flap on the cover. instead of ripping this piece off, i thought it would be fun to keep it on, add some pattern paper and make it as part of my cover page. the back of the flap is blank so i figure how fun will it be once the year is done to make a fun photo collage of all the photos i collected over the year on that flap? i cannot wait to complete that little addition. on the inside first page, i had a fun time adding some additional journaling and a photo of my husband and i taken on january 1st. our year ahead is going to be full of massive change and for just a little while longer it will only be the two of us. how neat that on january 1st it is just us two, but come december 31st we will be a family of 3. i thought this would be a very cool way to start the year, and then come the end of the year wrap it up with a photo of us and our biggest blessing. on the inside page i have decided to make a gratitude list for this month. so each day it literally takes me 30 seconds to note something that has stood out for me that fills my heart with gratitude. i already love reading what i have wrote down…as some (believe it or not) i have forgotten! i have also begun to add little snippets and journaling to this page as well. i cannot wait to have this page filled. i decided to fill my clear pocket pages with some photos, ephemera of my "one little word" for 2014: hello. i also added a quote that i fell in love with that was pinned to one of my pinterest boards. i also added a photo and some handwritten journaling. before my calendar page, i decided to add an additional piece of paper. each month i am going to do this to serve as a monthly "vision" board. i adore vision boards and thought that it would be neat to add bits and pieces that i come across during the month into this album. i love the addition of ephemera, quotes, photos and notes….and i find it really helps to serve as an inspiring reminder as well as a great page of "stuff" to look back on down the road. to do this i simply trimmed a piece of paper and then stapled it to the left hand edge of the calendar. i have a stack of things i have collected so far just waiting to be added in to this page, hopefully i will get around to adding them today. i also find this serves to be a really great way to creatively exercise my thoughts and inspire me with future ideas and projects. 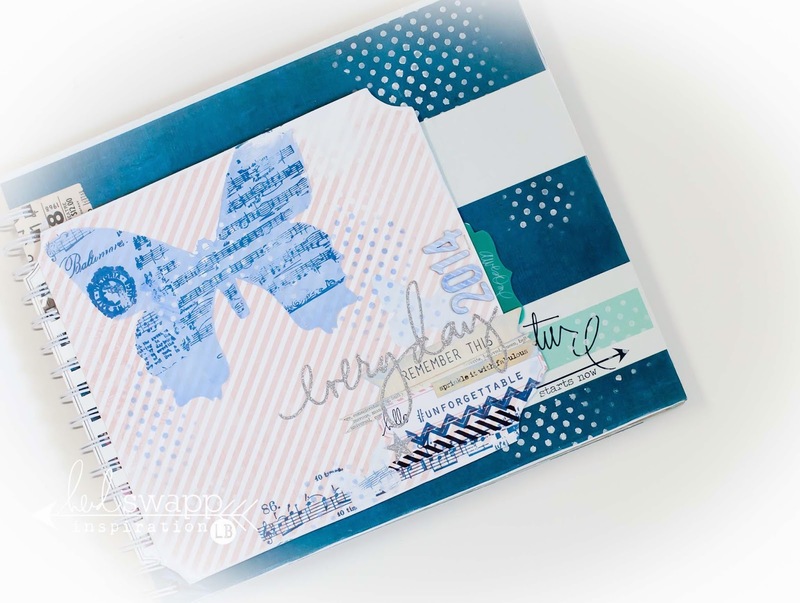 so far my calendar is filled with a bit of stamping and notes, but i want to add in some tiny photos and more stamping. cause you just need to make it more pretty right?!? i hope you enjoyed my little "first look" tour of my memory file planner. it is going to be a journey, a work in progress and i just cannot wait to have this little baby by my side this whole year through. 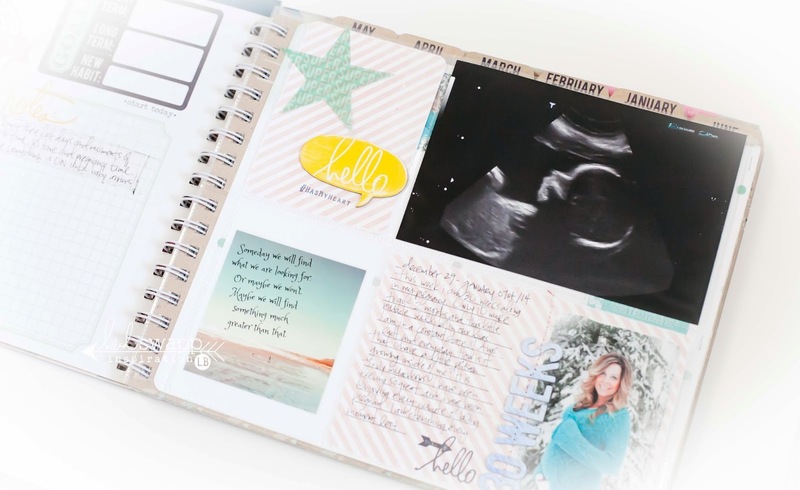 it is a phenomenal album and something that every scrapbooker/life documenter needs. it really is everything we all love and adore rolled into one little beautiful book. and just think how incredible this is going to be when it's filled with YOUR life…..purely fabulous. 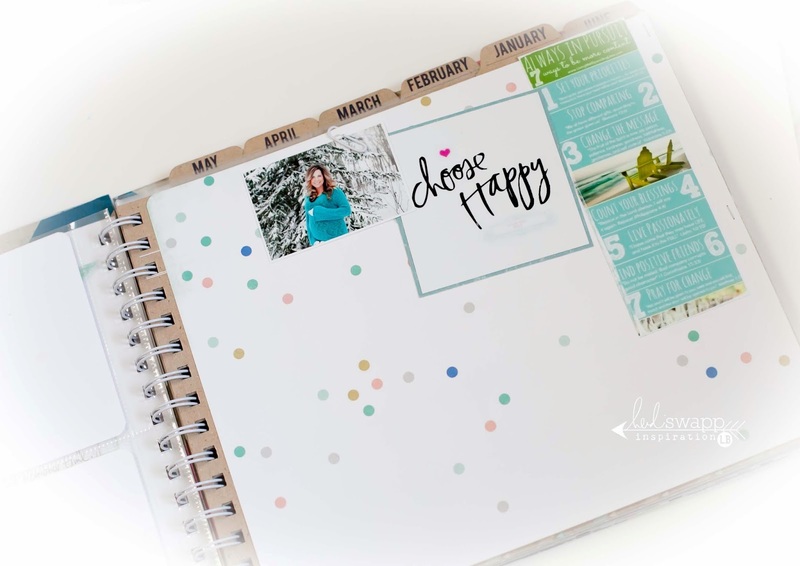 what a beautiful approach to this planner, lindsay. 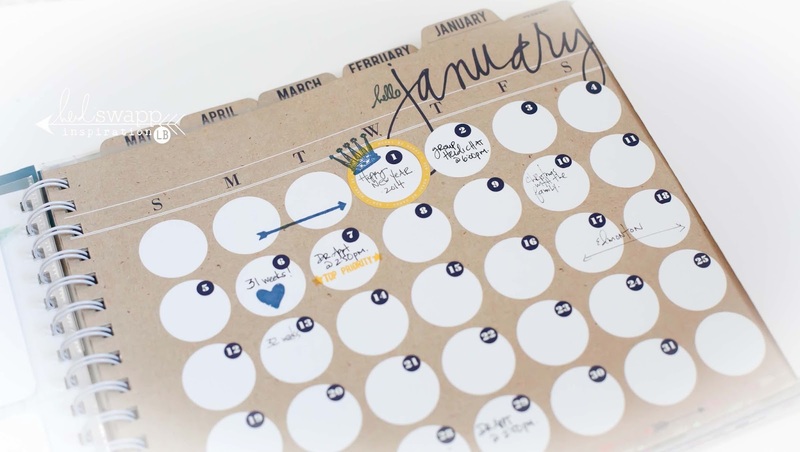 what a fabulous way to document this fresh year for you and that blessed baby's new beginnings. Oh Lindsay this is like wowowow simply stunning just like you! Thanks Lindsay for the great ideas, outline and details for your memory planner. This is so helpful as I consider which pieces t document in it.